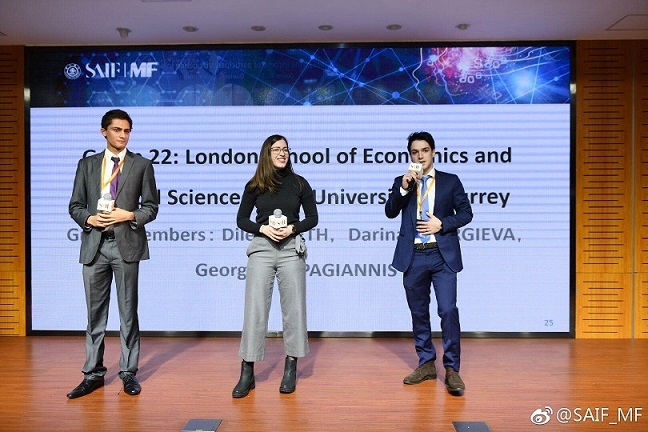 Georgios (George) and I (Darina) are penultimate-year Computer Science students who were selected to attend 2019 International Youth Leadership Finance Summit (2019 IYLFS) organized by Shanghai Advanced Institute of Finance (SAIF) Master of Finance in Shanghai, China on January 22nd. The competition gathered high achieving students from leading Universities around the world who teamed up to compete against each other. The aim of the competition was to select a company that focuses on Artificial Intelligence (AI), discuss its implementation, suggest a new potential AI product on top its current use case and pitch the company in front of investors for funding. We were teamed up with students from London School of Politics and Economics and had to target a realistic client case scenario of the company of our choice. We chose to represent UK founded Pharmaceuticals company BenevolentAI. IYLFS aims to provide an interaction and learning platform for outstanding undergraduate students, as well as to cultivate their leadership, communication and organisational skills. The competition strives to connect the best students of all disciplines across the world, and offer them a unique learning experience through a hands-on business case, and face-to-face communication with business leaders and scholars. The 2019 IYLFS evolved around the following aspects: research, AI, and equity financing. We gained hands-on experience and insight into the industry, and enhanced our understanding of both theories and practices through research and presentation. The competition culminated in a live pitch to investors and an audience of professionals and students in the quality and authenticity expected from real-world clients. We needed to find an unlisted company and complete an analysis from the macro to company level, and explain the rationale behind choosing this company. We were also required to use the actual company data and/or access to the company management team. Next, we discussed the current application of AI in this company, and design an AI application for this company in addition to its current business. The final stage was to pitch the company and its AI application to the investors in order to seek equity financing. The competition projects range from E-commerce/Consumption, Education, Big Data Application, Smart City/Smart Agriculture, and Healthcare/Pharmaceutical. 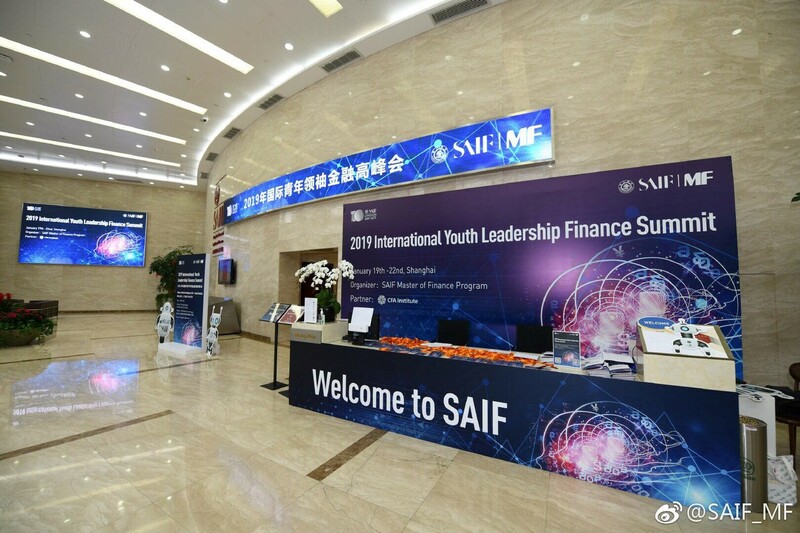 In addition to professors from SAIF, 2019 IYLFS also assembled a panel of industry leaders from well-known enterprises such as Panda Capital, Qiming Venture, Sequoia Capital China, Lantern Venture, Principal Financial Group, and CCB Principal Asset Management. 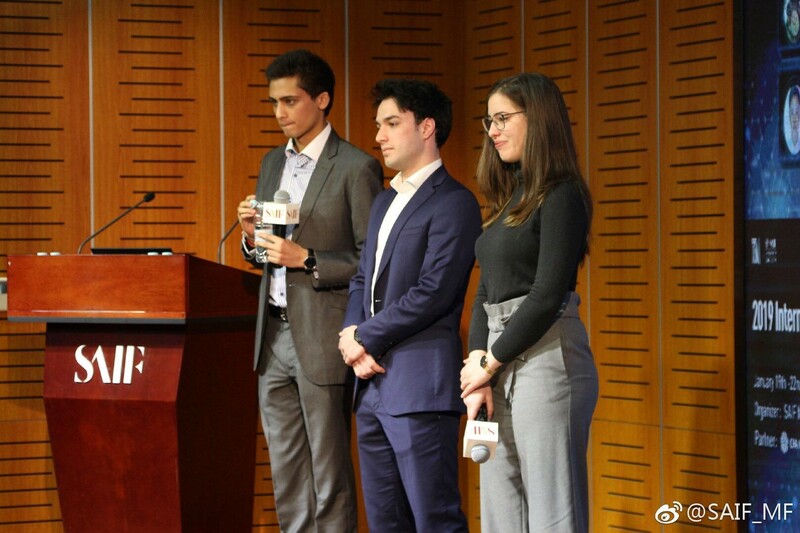 After attentive listening, the judges asked about the teams’ business plans in the Q&A session, advising participants to put more emphasis on the necessity of AI adoption in their plans, to use more direct data in analysing potential benefits, and to highlight unique advantages compared to horizontal competitors. Competing teams were advised to consider the specific needs of the project and how to put the projects into practice. The collision of opinions and in-depth insights from experts led participants and audience to ponder more over these topics. In the Healthcare/Pharmaceutical Category, we shared our unique insights on the AI applications in medical fields, presented how BenevolentAI uses AI to accelerate and reduce the costs of drug discover, as well as suggested a new way to apply AI in order to come up with patient specific treatments. We were really pleased to get Second Best Pitch Prize in this category. Overall, it’s been a wonderful experience joining the International Youth Leadership Finance Summit. AI is a heated topic and this summit encourages us to think deeper about it. We all had a more profound perspective about AI plus business. Also, we learnt a lot about investment and business development. Through competing with young people from all over the world, our minds have been greatly expanded.